Pathologized, terrorized, and confined, trans/gender non-conforming and queer folks have always struggled against the enormity of the prison industrial complex. The first collection of its kind, Eric A. Stanley and Nat Smith bring together current and former prisoners, activists, and academics to offer new ways for understanding how race, gender, ability, and sexuality are lived under the crushing weight of captivity. Through a politic of gender self-determination, this collection argues that trans/queer liberation and prison abolition must be grown together. From rioting against police violence and critiquing hate crimes legislation to prisoners demanding access to HIV medications, and far beyond, "Captive Genders" is a challenge for us all to join the struggle. "The purpose of prison abolition is to discover and promote the countless ways freedom and difference are mutually dependent. The contributors to Captive Genders brilliantly shatter the assumption that the antidote to danger is human sacrifice. 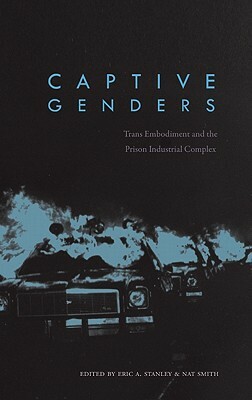 "Ruth Wilson Gilmore, author of "Golden Gulag: Prisons, Surplus, Crisis, and Opposition in Globalizing California"
""Captive Genders" is at once a scathing and necessary analysis of the prison industrial complex and a history of queer resistance to state tyranny. By queering a prison abolition analysis, Captive Genders moves us to imagine the impossible dream of liberation. "Mattilda Bernstein Sycamore, author of "So Many Ways to Sleep Badly"
Eric A. Stanley is a radical queer activist, outlaw academic, and experimental filmmaker. Nat Smith is a member of Trans/gender Variant in Prison Committee and is an organizer with Critical Resistance. Eric A. Stanley: Eric A. Stanley is a radical queer activist, outlaw academic, experimental filmmaker. Nat Smith: Nat Smith is a member of Trans/gender Variant in Prison Committee and an organizer with Critical Resistance.